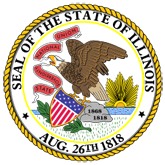 Press release: The Illinois Department of Public Health (IDPH) today announced the following type AA and A violations of the Nursing Home Care Act recorded during the second quarter of 2016. 1. Nursing Home Violations for 2016 Second Quarter (16-0502-IDPH_Nursing_Home_Violations_.pdf).